Beading Arts: Textured candy bags! 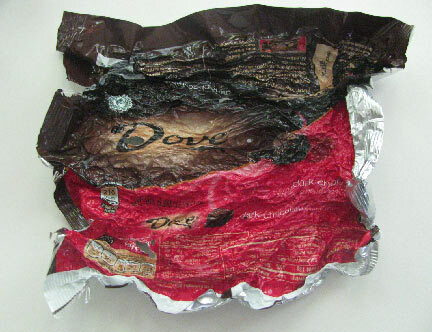 Thanks to my recent obsession with all things textured, I ended up heat-shrinking a bag of Dove chocolates. 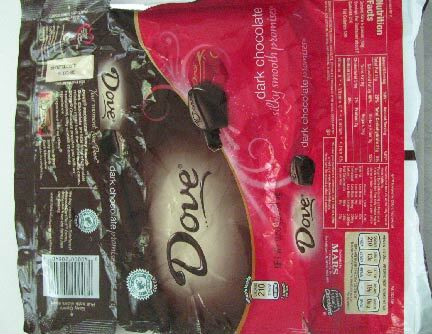 NO, the chocolates were not IN the bag, silly. Of course I had already scarfed them all down, because that's another thing I'm obsessed with! What I did was to open up the bag completely, take it outside in case of fumes, and shrink it with my trusty heat gun. If you don't have one, you might even be able to use a hair dryer if you can get it hot enough. What happens is that these bags are layers of both metal and plastic. 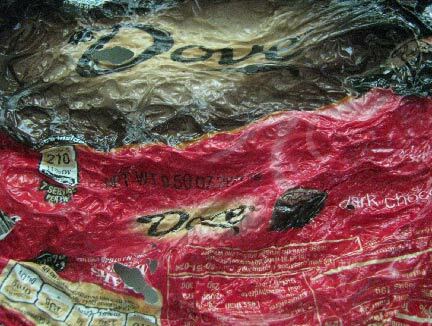 The plastic shrinks and wrinkles, and takes the pretty bag colors with it. I'm thinking that this would be a great base layer for something steampunk, with gears and other metal bits. And beads, of course! What do you think?